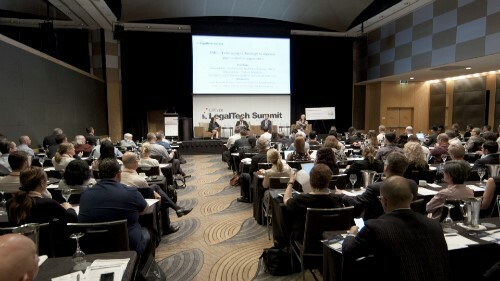 Managing partner of “start-up” firm KWS Legal, Harriet Warlow-Shill talks with Australasian Lawyer about the need to respect lawyers within the workplace and keeping it in the family. My great grandfather, grandfather, father and sister were/are lawyers. I have, together with my family, always been fascinated with law and justice. Passion for justice drives me to do the long hours required to fit in supporting good causes along with running a commercial firm. How long have you worked at KWS Legal and what brought you to that position? I have been with KWS Legal for 3 years since it began. My friend Michael Kadoury and I started the firm when we saw a gap in the market for a firm that delivers fixed price or minute unit billings, commercial advice and a truly positive workplace. Good question. Perhaps not exactly strange but most interesting was acting for the Aboriginal People of Western Australia in a claim against the Western Australian government for unpaid tax monies allocated to them under the Western Australian constitution. The right to the payments was almost immediately amended out of the Western Australian constitution. However there were questions as to whether those amendments were validly effected. In the end the matter was before the High Court who decided that one of the amendments was valid and the right to state revenue no longer existed for the Aboriginal people of Western Australia. It was a gripping case and I was fortunate to be assisting as a law student. However upon graduation I decided to focus on commercial law so that was the end of strange and wonderful cases for me! Deborah the Prophetess: the world’s first female prophet who also wrote poetry and music and successfully led a war. My kind of woman! Rabbi Menachem Mendel Schneerson: a leading 20th century philosopher and religious leader, and my daily inspiration. A man who emerged from Stalinist Russia and Nazi Germany, having lost much of his family, to go on to become one of the most positive compassionate people on the planet. Steve Jobs: a creative mind that changed our world…in such fun ways! Nogga Café, Carlisle Steet St Kilda: best sushi in town. Don’t give up. We all make mistakes but that’s why we are human and not machines. Respect for lawyers within the workplace. We are humans. We need down time to operate efficiently and preserve good mental health in a stressful profession. We also need to be allowed to integrate our children into our daily lives to build a healthy next generation. Law firms need to respect our humanity to bring out the best in us. Increase our research and development budget. Build technology clusters in all our cities. Make all forms of childcare tax deductible. Increase funding for homeless shelters. Assist farmers to stay on their land sustainably. Teach aboriginal languages in all our schools. Look at how to make better use of our migrants, our natural resources, and our youth. And finish the day by…attending a really cool cocktail party with Aussie achievers! Somehow I don’t think it’s that easy though. I love making clients and staff happy. The buzz from a brilliant negotiation, or a staff member whom we helped to achieve a personal goal or a note of thanks from a client: it’s all good stuff! Less hours (working on it!). Totally inspiring & brilliantly spoken ! A great advocate of 'having it all' and loving her work. Excellent interview. You are inspirational Harriet. That was an inspirational article. Harriet comes across as smart, funny and a strong woman negotiating her way through what can be a very difficult industry to work in. This is an amazing piece and I am glad I read it. Harriet is a leader for Australian lawyers.